These peanut butter dog bones were created especially for our furry friends and are treats made with real ingredients, like peanut butter, cheddar cheese, and blueberries, so you can feel good about feeding them to your pup! I’ve pretty much always been a crazy dog person. As in, the kid who got bit by multiple dogs because she wanted to play with them and cuddle them when they were trying to eat or just wanted to be left alone. I was basically Elmyra from Tiny Toons. Dog obsessed to the maximum. I even went to summer camp at the MSPCA just because I wanted to spend all day with the shelter dogs. It turns out, campers only got to visit the shelter twice in two weeks and the rest of the time was spent cleaning out the horse stables and singing “I Got You Spayed” (yes, sung to the tune of the old Sonny and Cher classic). Sigh. I also read every dog book I could get my hands on (and had serious aspirations of being Dr. Dolittle) and really did think my life was over when my childhood pup, Peaches, passed away. The last several years, I’ve done a really good job hiding my dog craziness. Mostly because I know how much work dogs are and I wasn’t sure I was ready for that major commitment. So, I played it cool and acted like I didn’t really even want a dog. I’ve been getting a regular dog fix with my aunt and uncle’s dog, Mitzi, who we’re lucky enough to dogsit regularly. But then my husband pushed me and pushed me until I gave in. And we got a dog of our own. And I fell hard. I didn’t think it was possible to love a little pup so freaking much. I fell so hard that I’m now posting a recipe for dog treats to my blog. It’s actually not my first. I made treats for Mitzi a while back, too. Don’t worry, my blog isn’t about to become some crazy dog recipe blog, but I just couldn’t resist. Bonus points for the fact that these are cookies any human can enjoy, too! I promise. Please note that all dogs are different and some are sensitive to dairy and other food groups/ingredients, so please check with your vet before feeding them anything new. Also, make sure your peanut butter does not contain the sweetener, Xylitol, as this can be very dangerous for dogs. 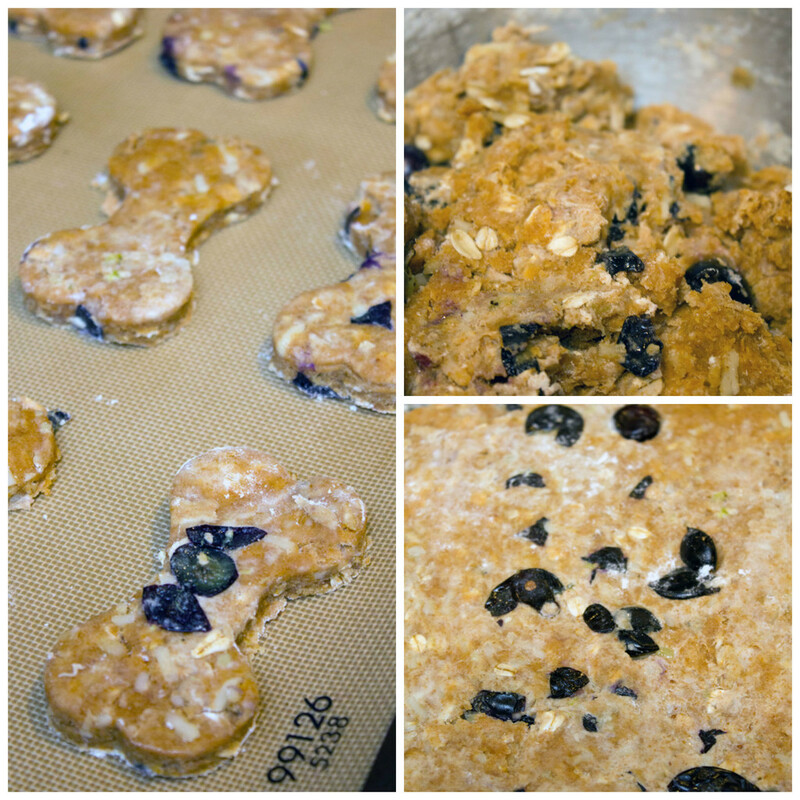 These homemade dog treats combine the flavors of peanut butter, cheddar cheese, and fresh blueberries. 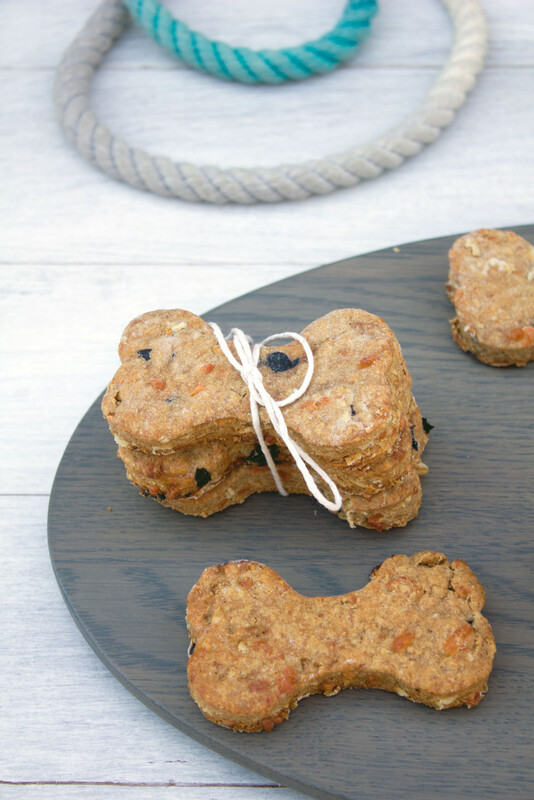 Just like making regular cookies, you can bake up a batch of these dog treats pretty quickly- simply make the dough, roll it out, and cut it into any shape you want. I obviously chose a dog bone shape! And the results are quite delicious. Or so I was told. The combination may sound a little bit odd to you, but I just basically put together a few things that I know Winnie loves. And while we humans may not necessarily chow down on peanut butter, cheddar cheese, and blueberries at the same time, I’m pretty sure that’s just because we haven’t been conditioned to think it’s a normal combo. But all three foods are so delicious, why not enjoy them together? Winnie certainly thought they were a good idea. She even did a couple tricks for the peanut butter and cheese dog treats. We’ve been taking her to the MSPCA for training and while some things are tough for her (she has major anxiety being around other dogs and excitement), she’s a super quick learner and got “shake” down in just a couple days. 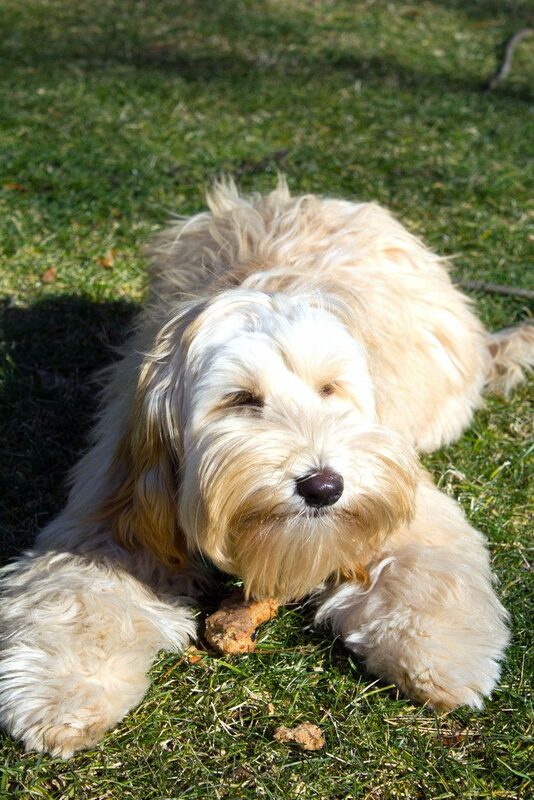 Seriously, I felt so, so happy that Winnie went ridiculously crazy over these peanut butter dog bones. I don’t want to boast, but she was definitely way more excited about these treats than any of her other store-bought ones. Score! I didn’t actually try the homemade dog treats myself, but I probably should have. In fact, I bet I would have loved them. Peanut butter and cheese are two of my favorite foods. And in cookie form? Even better! 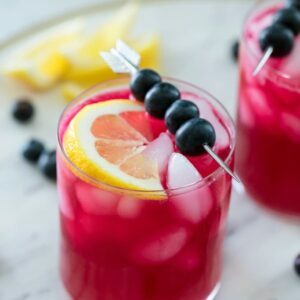 Plus, I can’t think of much that you can’t add blueberries to. If I had just a little more time at home, I’d be making delicacies like peanut butter dog treats all the time. Next up, I want to try ice cream or some sort of yogurt-based treat. Anything to make this little pup happy. Yes, I’m aware that I’m spoiling my dog in a major way. But so be it; all my money is going to PetSmart now, anyway. How can you say no to this face? I told you I was a crazy dog person again. I don’t regret a thing. She makes me so, so happy! Are you a crazy dog person, too? 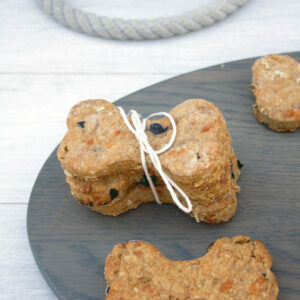 If your dog loves these peanut butter dog bones, be sure to make him or her my Peanut Butter Banana Pupcakes, too! Pre-heat oven to 350 degrees F. Line a baking sheet with parchment paper or a silicon baking mat. 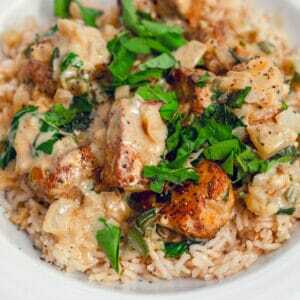 In a large bowl, whisk together whole wheat flour, baking powder, and old fashioned oats. Using a wooden spoon, stir in the chicken broth, peanut butter, cheese, and blueberries. Form dough into a ball and knead on a lightly floured surface for about a minute. On lightly floured surface, roll dough out into a large circle about 1/2-inch thick. Using a cookie cutter (preferably bone shaped), cut out shapes and place on baking sheet. Bake at 350 degrees for about 18-20 minutes, until treats are lightly golden at edges. Let cool on pan for a few minutes before removing to wire rack to cool completely before giving to your furry friend. 19 Responses to "Peanut Butter Cheddar Dog Bones"
My husband and I have become crazy dog-people as well. We make frozen sweet potato bones to put in his kongs, our freezer is basically all dog treats now. Thanks for the recipe! Maybe Mookie and Winnie will meet one day! Oh what a fun idea! Your dog is just the cutest. I’m sure he loved these treats! I thought Elmyra was hilarious. So that’s quite a visual you gave me there with that comparison! Your doggie’s very lucky to have you. You’re a great dog mom! And he is just adorable! These are WAY too cute…my dog, Teddy, would love these!!! 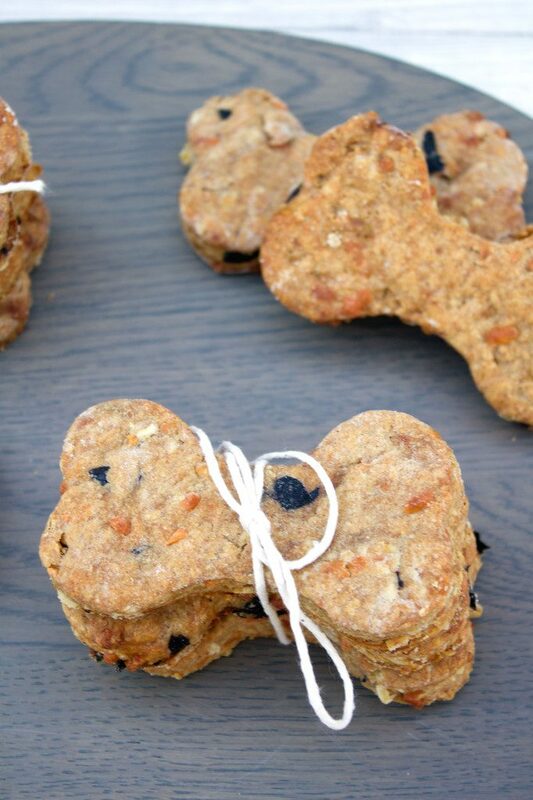 Keep the Crazy dog treat recipes coming! I love it. I’ll have to make these for my 3 monsters! She’s so cute! I am a crazy animal person in general! Bookmarked. My dog will love these treats! Aw! Congrats on the puppy. He is adorable, and majorly makes me have some serious dog envy. Ah, these are wonderful! 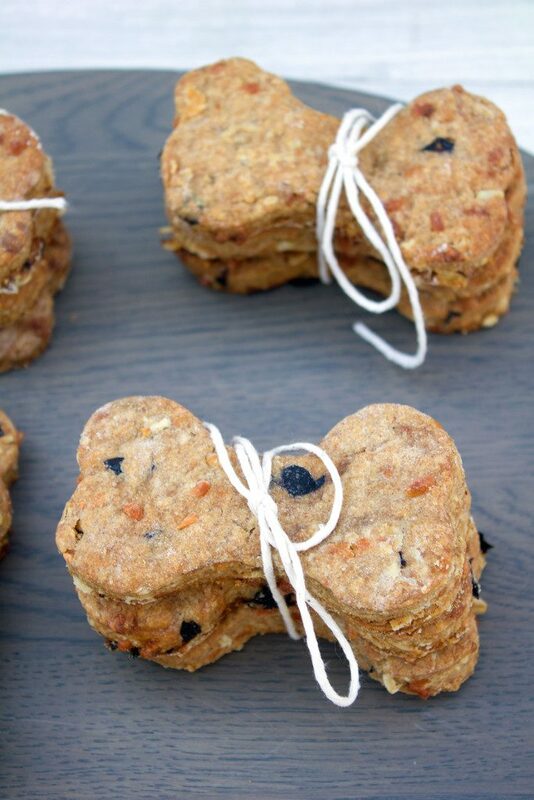 I’ll definitely be making them for my mother’s pack o’ lovable mutts this weekend! Just an additional warning, however: be sure to check the ingredients of your peanut butter. Some brands use xylitol in their product and it is a chemical that’s highly toxic to the pups. Be safe, evryone! What delicious treats for your dog! If I was a dog I would go crazy for one of these! I am obsessed with dogs too and I spoil mine rotten…i mean they are our fur children, they deserve it! LOVE these treats! Can’t wait to make a few batches for the furry, four legged apple of my eye! Cheers, girlfriend! Ummmm yes I am obsessed with my dog. Tooooo obsessed for social normalcy ??. I can’t WAIT to try to make these dog bones for my dog!! I was totally Elmyra too. I’m still that way w Julius! I squeeze him till he wriggles away. I would definitely be a crazy dog lady but my husband says only two. I just finished baking Elvis biscuits (peanut butter and banana) and thought I should look for a recipe using blueberries. I found your recipe so will bake those next time. Thank you. 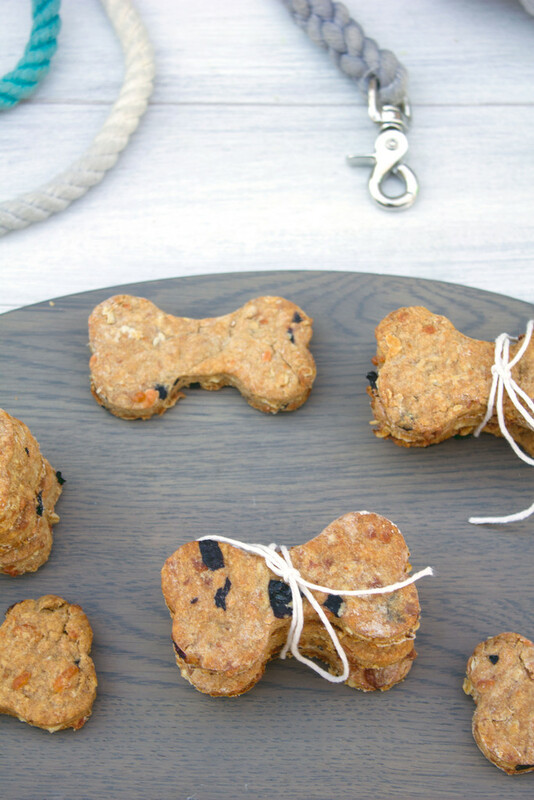 I make a lot of treats for my dog and your recipe will be my next to try! The only ingredient I lack is the oats. I have quick cook oats and was tempted to substitute but I won’t. 🙂 Will buy oats tomorrow. 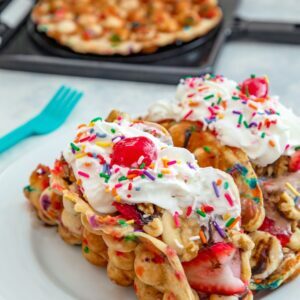 Your recipe looks easy and yummy! 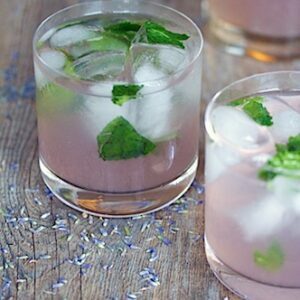 Am very excited to make these! Thanks for the recipe! Made a batch of these this afternoon and needless to say they were a hit with my dog! I’ll be making these again and again! Thanks again!